No matter how advanced technology has become, there's one thing that remains out of our reach. We can instantly access information wherever we are, enjoy any type of media content, and communicate almost instantaneously. But, no matter how good things get, we're still subject to the whims of the weather (at least for now). Since we all have to dress to accommodate the daily forecast, you may as well use the best app for the job. 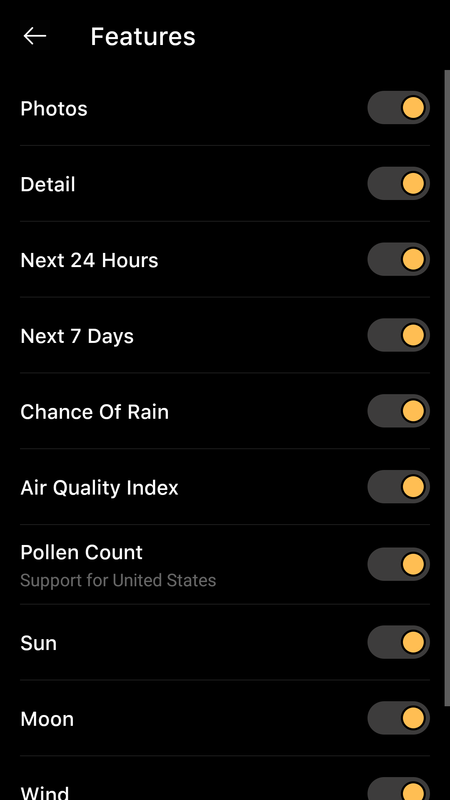 Thankfully, the elegantly designed Today Weather is there to provide, and it was just updated with a new layout for the Note8 and pollen counts for the US. Today Weather might have slipped under your radar (ha! ), but it's something of a sleeper hit. The app has a bit under a million downloads on Google Play and a very high 4.7-star review average. Today Weather is free and ad-supported. If you like it, there are also IAPs that further disable advertisements, remove icon limitations, and enable radar. For $0.99 you can try things out for 6 months, $1.49 gets you a year of service, and $3.99 unlocks an unlimited license. 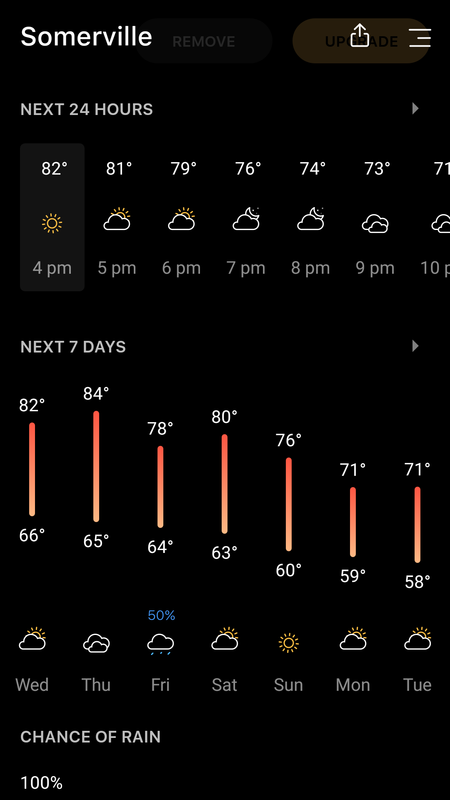 The new Note8 layout in Today Weather is great news for anyone that picked up Samsung's latest flagship. The changes take advantage of that big bright screen perfectly. Pollen counts are a fantastic addition, too. Many of us suffer from seasonal allergies, so knowing what to expect can help prepare us for nature's assault on our sinuses. 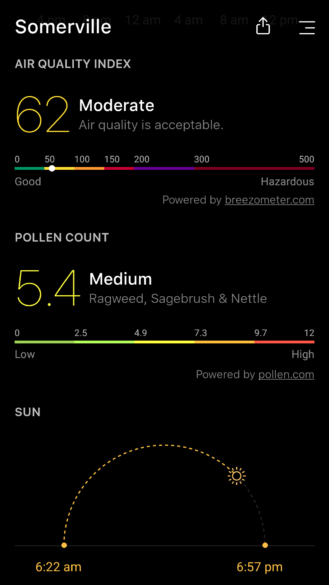 The only restriction to keep in mind is that pollen counts are US-only. One of the best things about Today Weather, outside its elegant simplicity and beautiful design, is the customization. 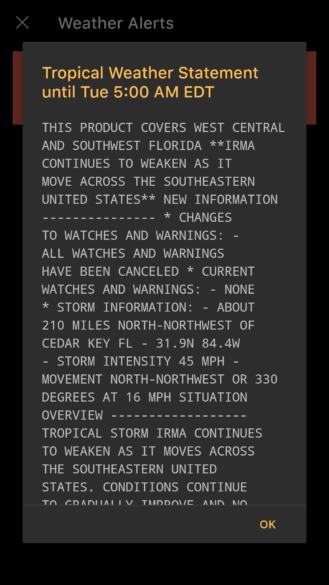 While some weather apps are locked to a particular weather provider and feature a fixed layout, that isn't the case here. You get a choice of five different data sources: Weather Underground, Dark Sky, Weather.com, Accuweather.com, and YR.no. That way you can pick and choose what's most accurate for your location. 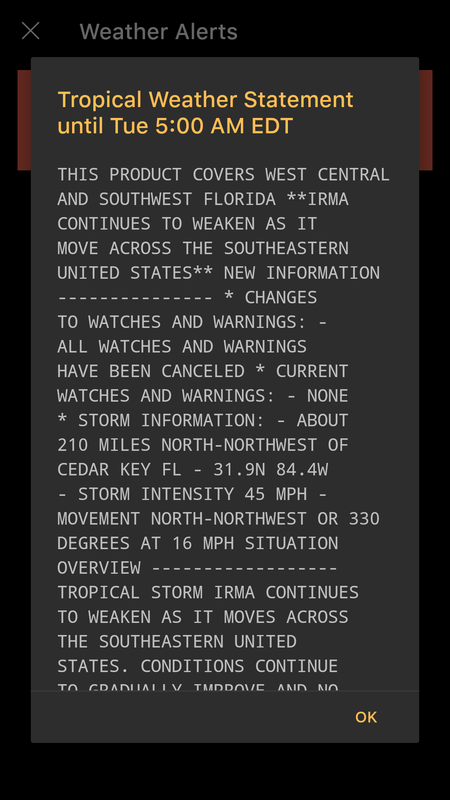 Even better, once you've settled on where to get your weather information from, you also select individual features to enable or disable. 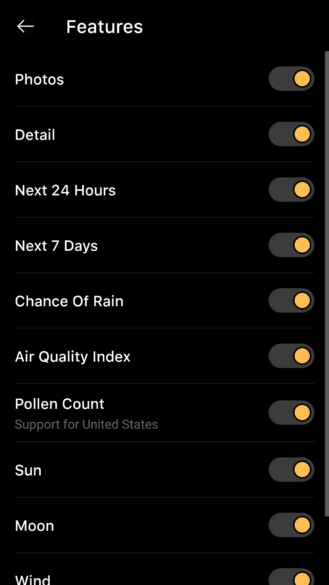 So if you want the Air Quality Index and Pollen Count, but don't need sunrise and sunset times, you can cut things down exactly the way you want. It's your weather your way, with nothing extraneous between you and the data. 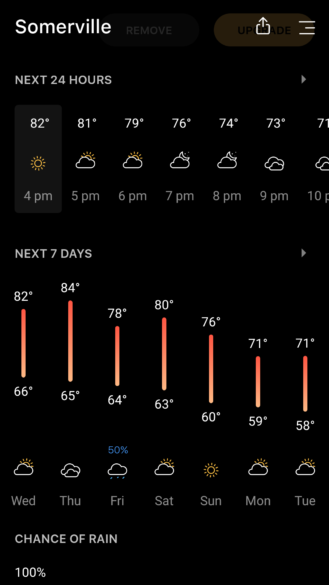 Today Weather is available for both Android and iOS, and if you aren't quite ready to plop down the cash for it, most of the features are available for free. But you might want to consider spending some of that Google Opinion Rewards cash we've all got squirreled away on it. 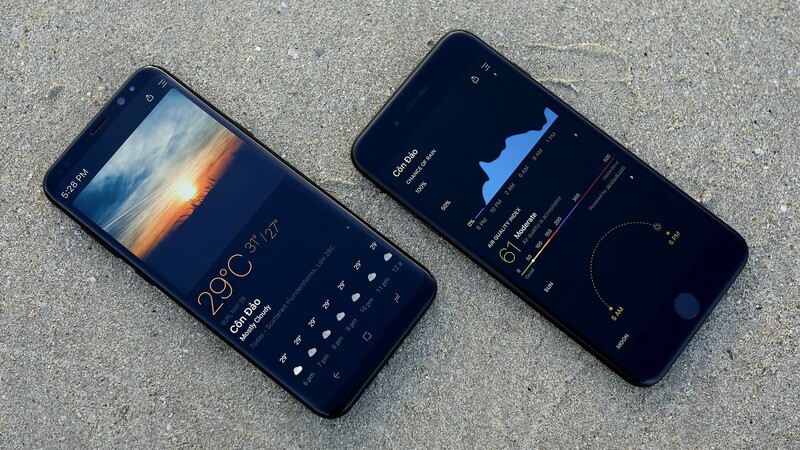 From the dark AMOLED-friendly black theme, with its high-contrast content and intuitive design, to the individual features and extensive customization, Today Weather is unquestionably bound to please.